Wayne Swanson is a photographer living in San Diego. Born and raised in Chicago, he still clings to his Midwestern sensibility. He is a graduate of the Medill School of Journalism at Northwestern University. 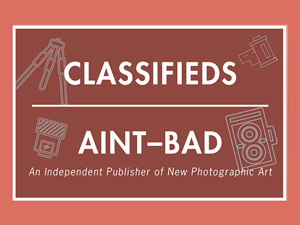 His career has included writing and photography for newspapers, magazines, book publishers, and corporate clients. 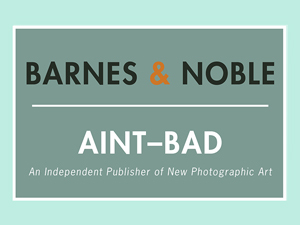 Currently focusing on fine art and documentary photography, his recent work has been featured in Shots and The Hand magazines and in exhibitions at Dab Art and PhotoPlace galleries. He is drawn to images with a sense of place, atmosphere, time, memory, and a subtle sense of humor. From the Workshop is a celebration of family, craftsmanship, and the urge to create. My father was a mechanical engineer by profession, but woodworking was his passion. He was most content in his workshop (a.k.a. the garage of our family home), surrounded by his tools and piles of assorted soft- and hardwoods. 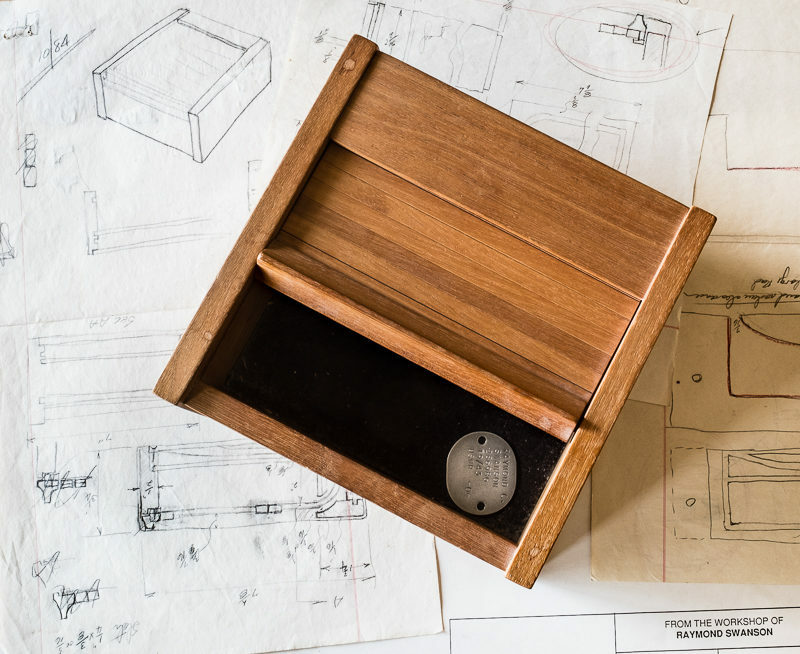 Each new project was an invitation to explore styles, materials, and woodworking techniques to create something that was uniquely his own. 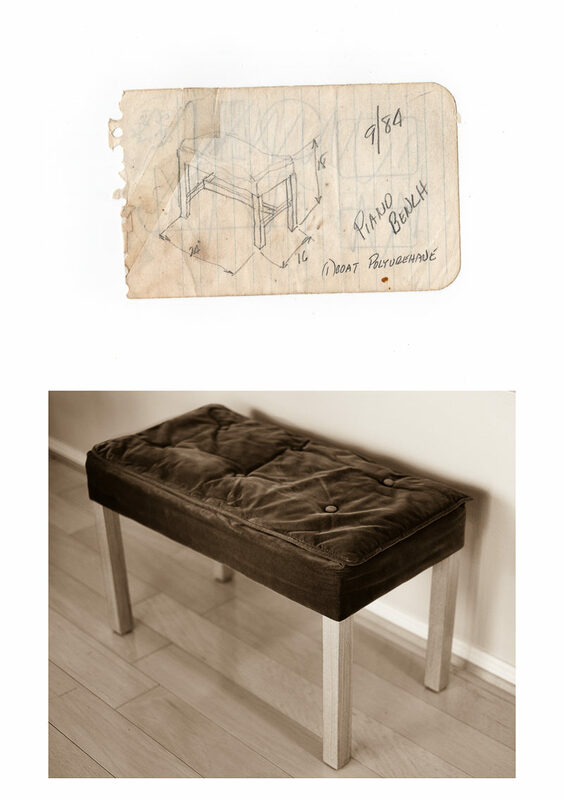 The furniture he made filled the home I grew up in — and now my home and the homes of my siblings. We always admired his skill, but only recently did we come to understand the depth of his passion. 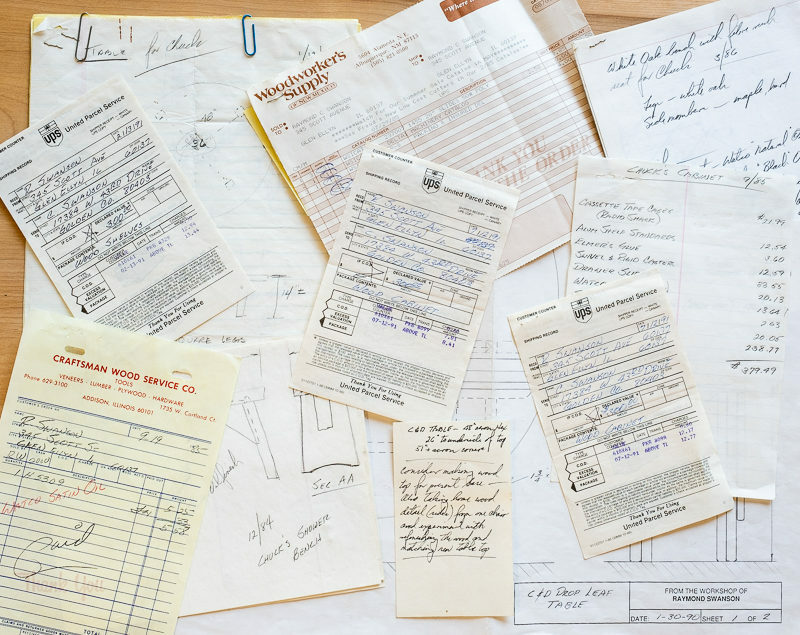 That’s when we discovered, buried deep inside a storage locker, the meticulous notes, sketches, detailed plans, and even the receipts for materials that he kept for his creations. And there were boxes and boxes of the tools to build them, so many tools. 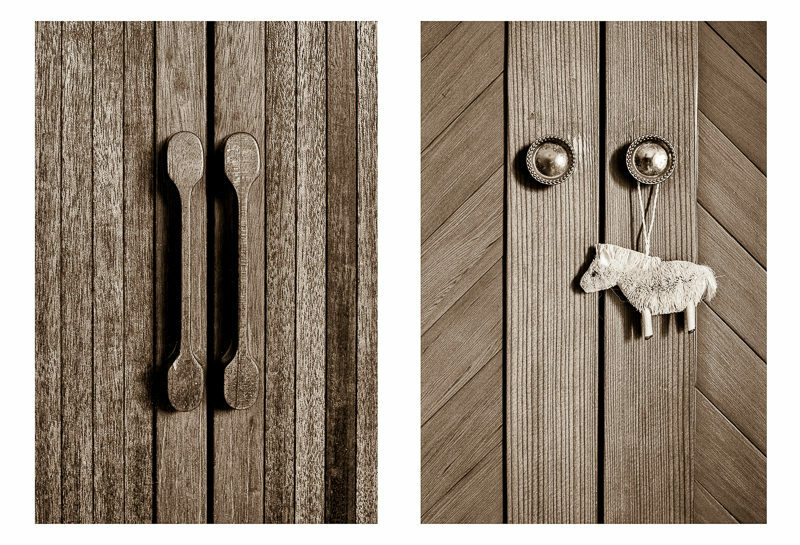 The images in this series honor the creativity and dedication of the craftsman. First, tell us a little about how you started photography in the first place? This also goes back to my dad. He was a mechanical engineer who loved mechanical things, like cameras. So as a kid there were always cameras around the house. But I really became hooked as a journalism student at Northwestern University. Thinking back on it, it was kind of amazing that in the first photojournalism class we learned the basics of shooting, developing and printing by working with Crown Graphics, Rolleiflexes, and then 35 mm cameras, so I started with a broad photographic base. After that, I was a newspaper writer and photographer for several years. Then I settled into writing as my day job, but continued shooting on the side. 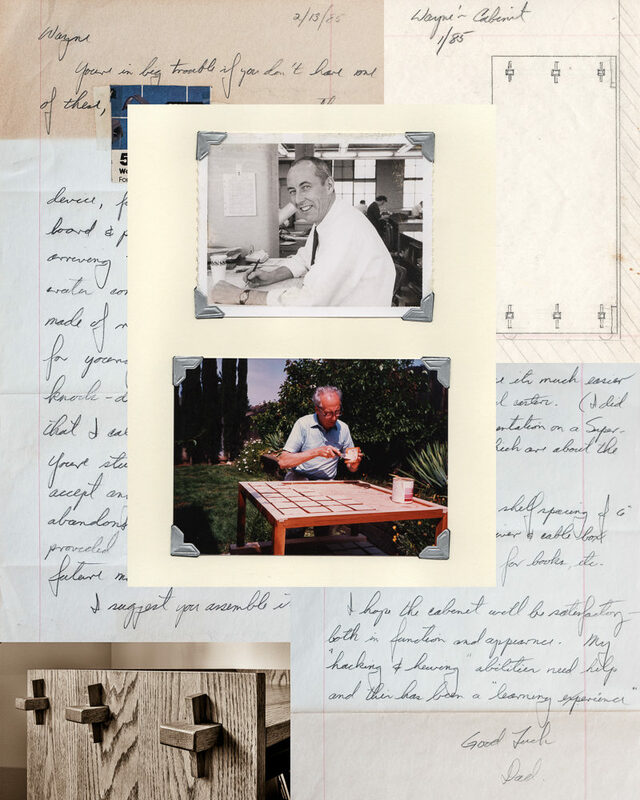 In this body of work you take on the mission of uncovering a slightly hidden part of your father’s craft as a maker. How did this project start? What made you want to share this part of your father in your own work? It started with one image. I was in one of those mopey periods when you conclude there is nothing to shoot. So I fell back on a classic exercise: shoot what’s around you. Usually I just see mundane stuff and give up, but this time I happened to be sitting at the dining room table my dad had made for me. 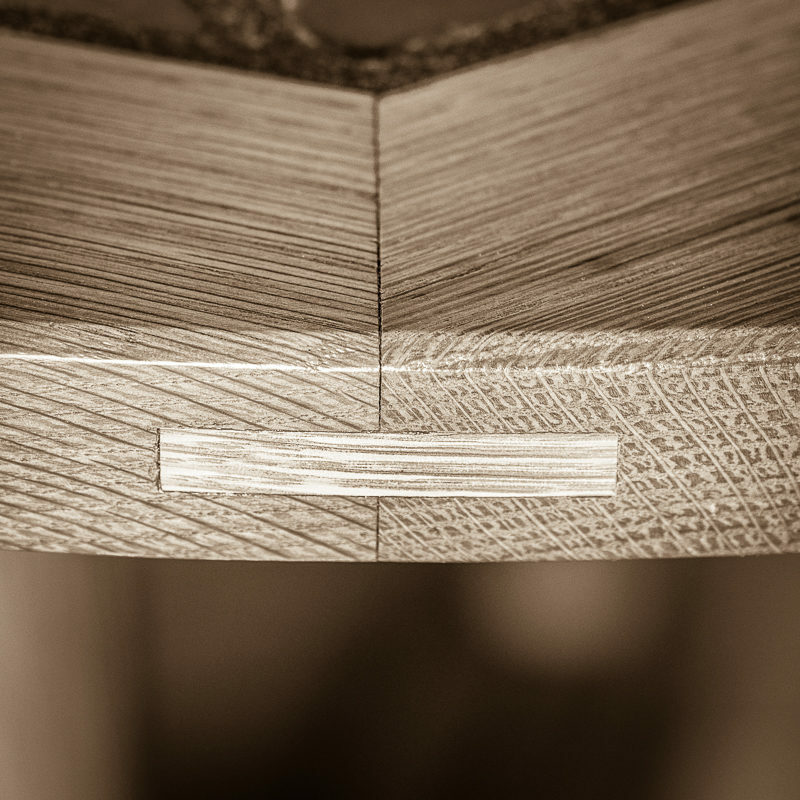 I was drawn to the grain of the white oak and the sophisticated technique he used for joining the pieces of the top. One shot got me going. I realized that instead of just documenting his work, I could celebrate his artistry. 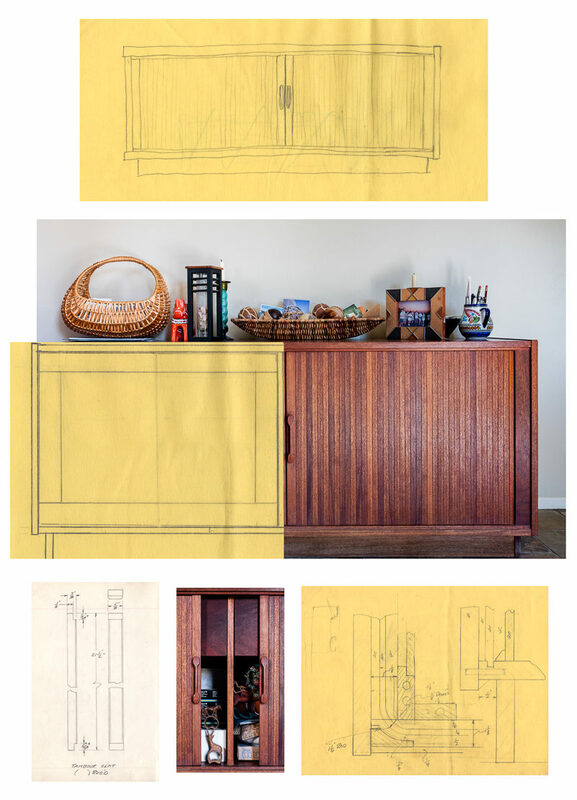 You chose to approach this body of work with several techniques which also include you juxtaposing your photos of the furniture he made, and the old sketches he saved. For me they feel like little poems or notes that he left behind for someone to one day discover and enjoy. Why was it important for you to share those sketches? What do they mean to you? Discovering these notes and sketches and drawings in a storage locker many years after his death was like seeing him again. His distinctive handwriting, the obsessive way he scribbled notes and sketches on any scrap of paper he could find brought back a lot of memories. 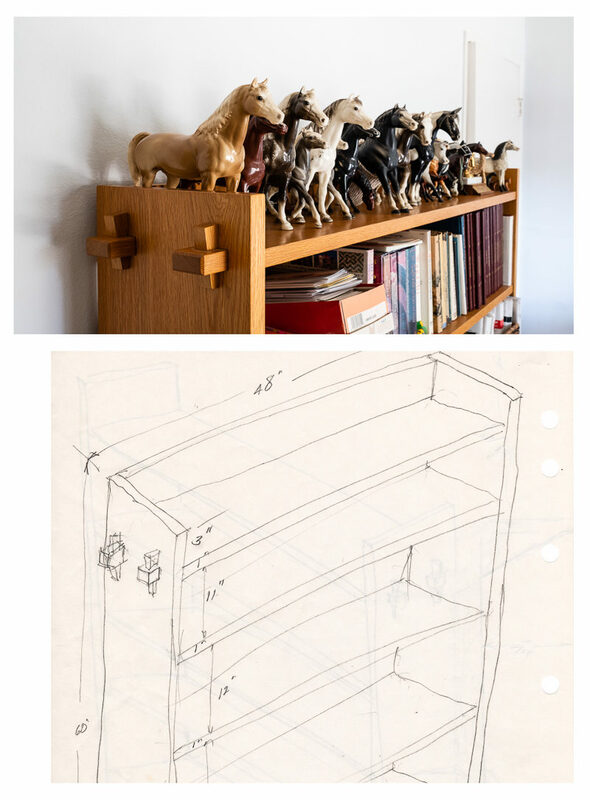 And it made me really understand the depth of his passion for woodworking. Lets talk about the grid of tools. There is something very visually appealing about it but there is also a great sadness within those squares of formalism – as I personally read it. 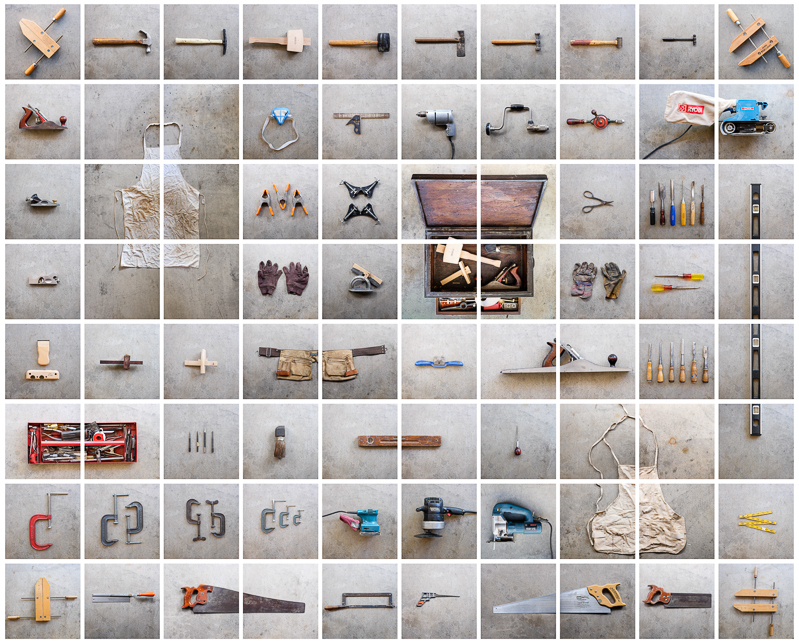 Tell us about the process of photographing all of the tools and your choice of collecting them in this broken grid. We found most of these in that storage locker. The sheer volume was overwhelming, and again spoke to his passion. He had a tool for every purpose. 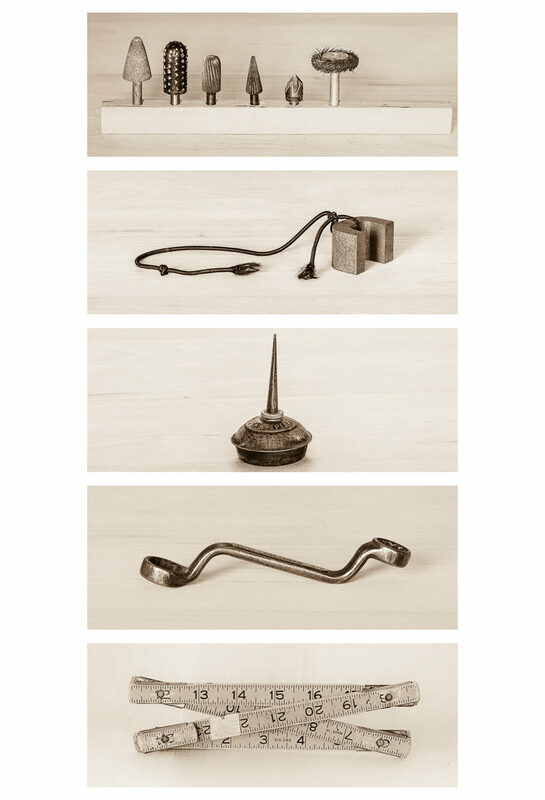 I liked the idea of using them to create sort of a portrait of my dad as a craftsman through his tools. So I set up a tripod and shot a representative sample of individual tools in a consistent manner. Then I played with arranging them in a grid that would give them an interesting rhythm. I tried to keep the sizes of the tools consistent, so some required multiple photos. I like the way that breaks up the predictability of the grid. What is the one thing about making this project and discovering all these papers that most surprised you about your father? It was realizing the depth of his commitment — not just to making things, but to being creative and even artful in what he built. He was a true engineer — a highly rational, you-do-everything-for-a-purpose man — so discovering this artistic side is still a bit of a surprise. As a child, I liked to watch him work on projects, and I could see how much he enjoyed it. But it was just something that Dad did for us. Even when I grew up, I don’t think it fully registered with me how much of himself he was putting into each piece. What would you consider to have been the most challenging part of creating this body of work – and why? Finding a narrative thread was the hardest part. 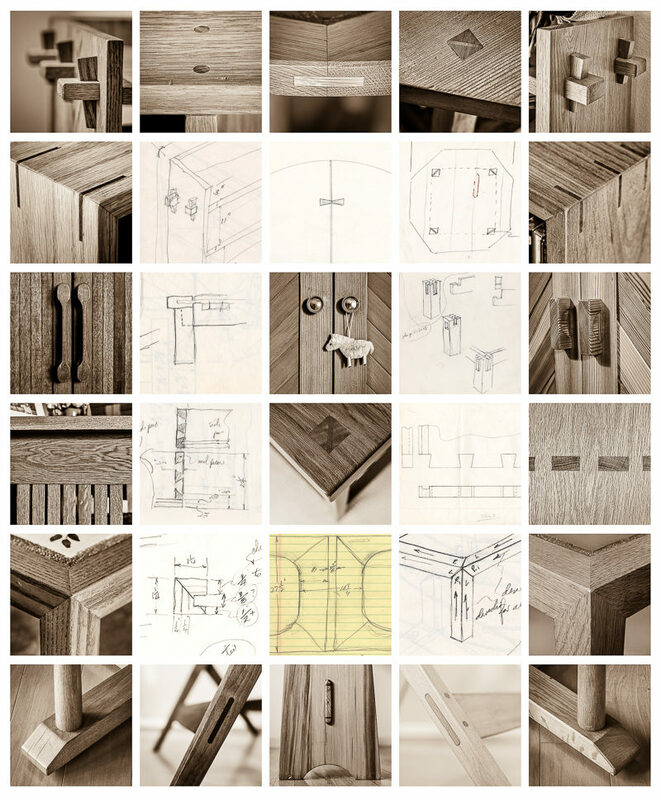 I started with some nice detail shots of joinery. 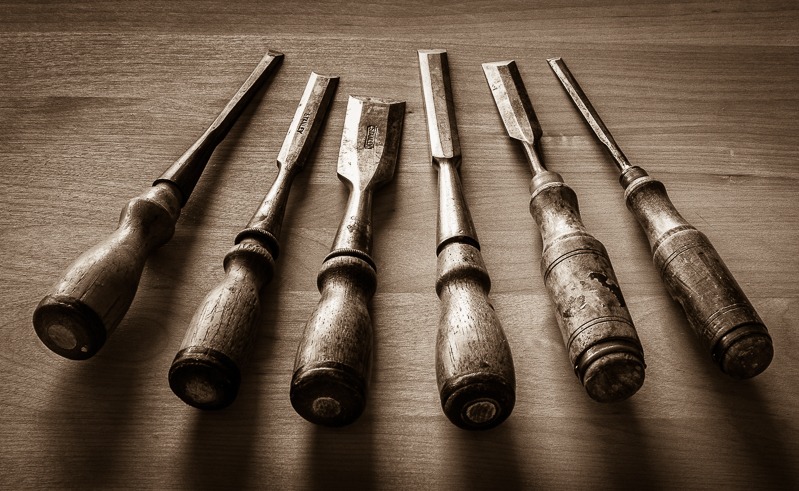 And then found some old, worn tools that made appealing shots. But I struggled with bringing his finished work — and him —into the series. Finding his old notes and drawings enabled me to tie the various threads together and find a deeper meaning. What tools do you use as an artist and photographer that are crucial in your bag (physically or metaphorically)? My bag is pretty disorganized (physically and metaphorically). In general I like to look for the overlooked, or take a fresh look at the obvious. 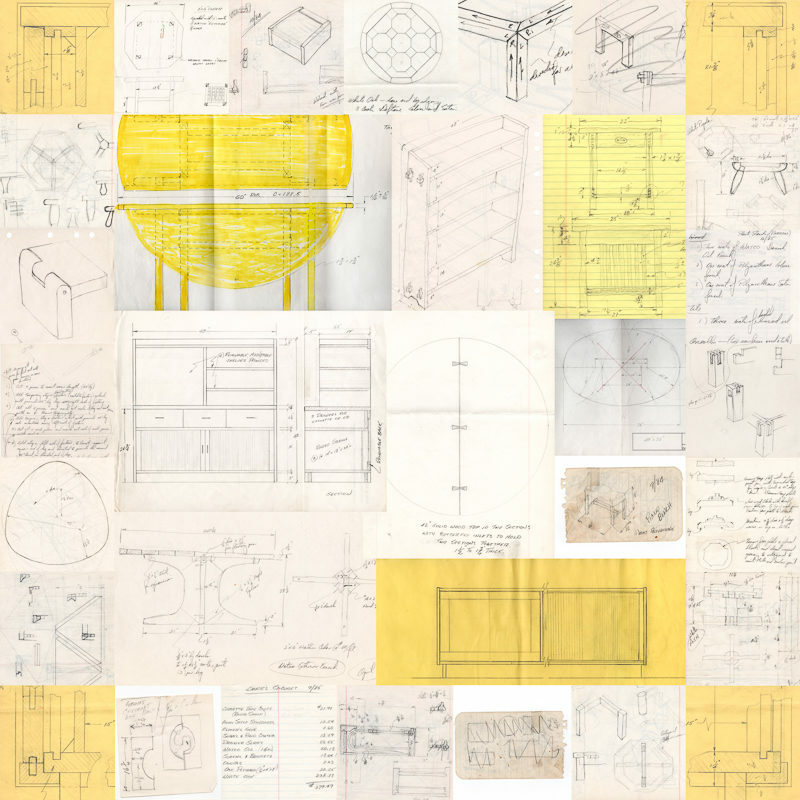 After that I like to play with what are the best tools: black-and-white, color, toned, collages, typologies, grids, etc. I’m particularly drawn to grids. By combining the images I can tell a narrative story or summarize a project, yet the grid has a presence all its own. Many people. Here are a few influences: the playfulness of Jacques-Henri Lartigue, the simple clarity of Walker Evans, the wit of Elliot Erwitt, the ambiguity and irony Garry Winogrand, the mystery in the familiar of Todd Hido . . .
It’s pretty stock advice: shoot for yourself. It can be hard to look beyond the perceived expectations of others or what you know others will like. But pleasing yourself is the best way to create something authentic that will resonate with others. Anything you would like our reader to know more about that we haven’t covered? Just a fun connection I made with this project. A great aspect of the portfolio review experience is sharing your work with other photographers. At the Medium Festival of Photography portfolio reviews in San Diego I showed my work to another artist, Jennifer Georgescu, who was showing her own family-based project —a wonderful conceptual project about motherhood. My work reminded her about her father. Now she wants to go home to photograph him and his artwork.